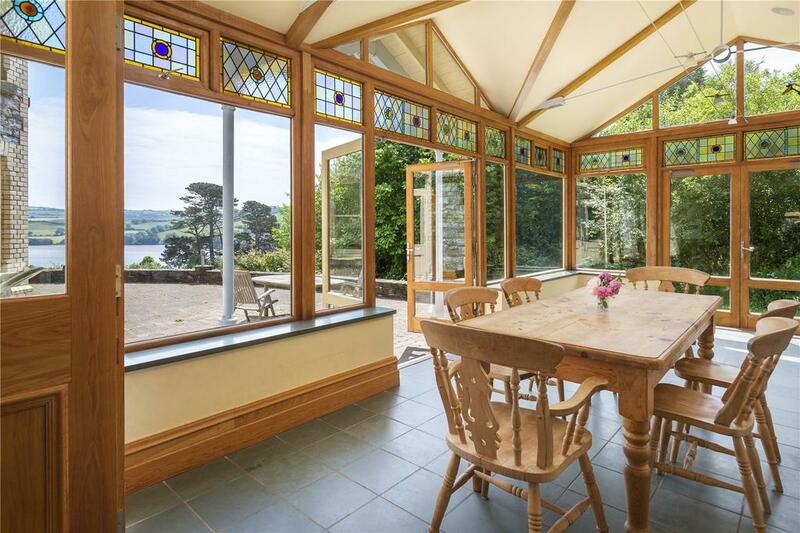 Woods House occupies one of the finest positions on the River Dart. In medieval times, the South Hams region of South Devon, now part of the South Devon AONB, was a feudal estate comprising the land between the Rivers Plym and Dart and to the south of Dartmoor, with the English Channel forming its southern boundary. The area’s strategic importance ensured long-standing links with the Royal Navy and inspired a grand maritime tradition, which has made its spectacular, deeply indented coastline a Mecca for seafarers, who dream of owning a house that has, as the French say, ‘les pieds dans l’eau’. Around here, however, the best waterside houses are rarely seen on the open market. As Sarah-Jane Bingham-Chick of Savills explains, ‘families who inherit or manage to buy such a house tend not to sell, or only in exceptional circumstances’. 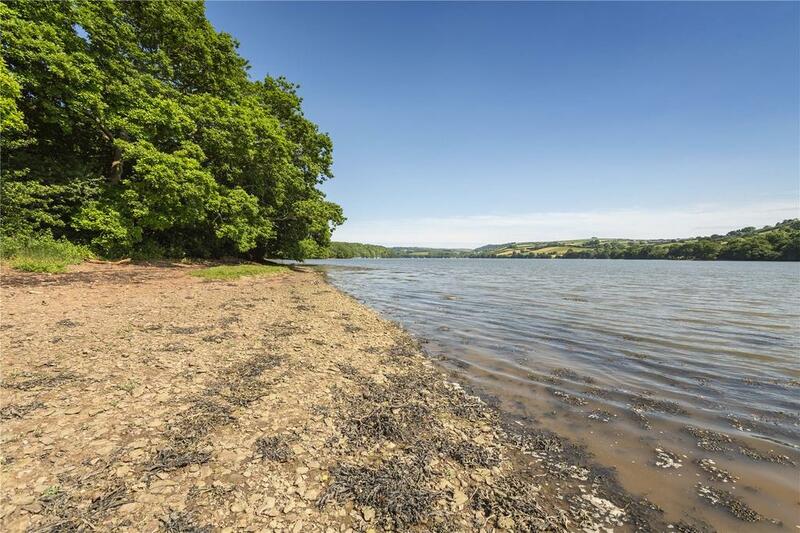 It’s no wonder, then, that the executor’s sale of Woods House at Stoke Gabriel, near Totnes, offered at a guide price of ‘excess £4 million’ through the firm’s Exeter office, has sent a frisson of excitement through the upper echelons of an increasingly buoyant West Country market – as demand for high-end coastal property elsewhere in the UK remains ‘a lot stickier’, leading agents say. The ancient, no-through village of Stoke Gabriel, one of the most sought-after in the South Hams, stands on a creek of the Dart, some three miles upriver from Dartmouth. 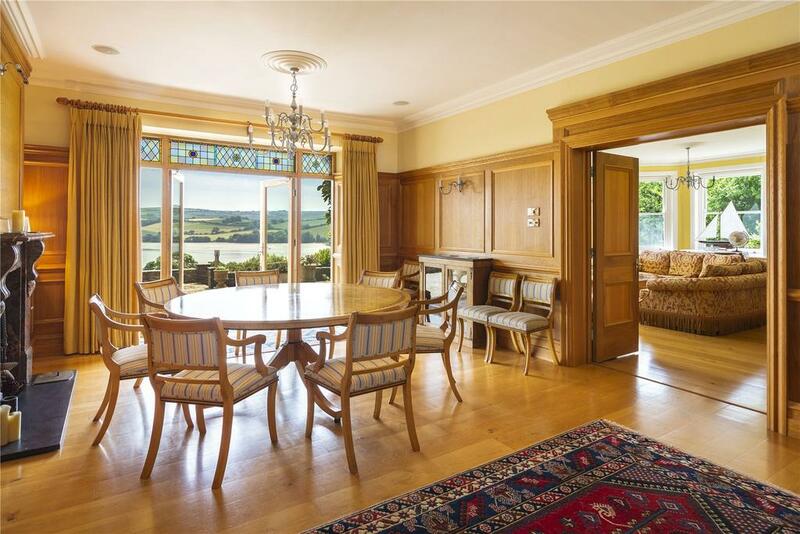 Set on its own south-facing peninsula, within 39 acres of wrap-around gardens and grounds, Woods House occupies one of the finest positions on the river, with rolling pasture sweeping gently down to the riverbank and more than half a mile of river frontage. The house enjoys total privacy, being visible only from the river and accessed through a discreet entrance in the village that leads into a tree-lined drive. The fine Victorian stone house has been carefully restored and reconfigured in recent years to provide some 6,000sq ft of family accommodation on three floors, with three reception rooms, a large kitchen/breakfast room, a sun room, master and guest suites, five double bedrooms, four bath/shower rooms, a study and a playroom. Mod-cons include cabling for digital, audio or visual use, with additional guest accommodation provided in a separate three-bedroom cottage. 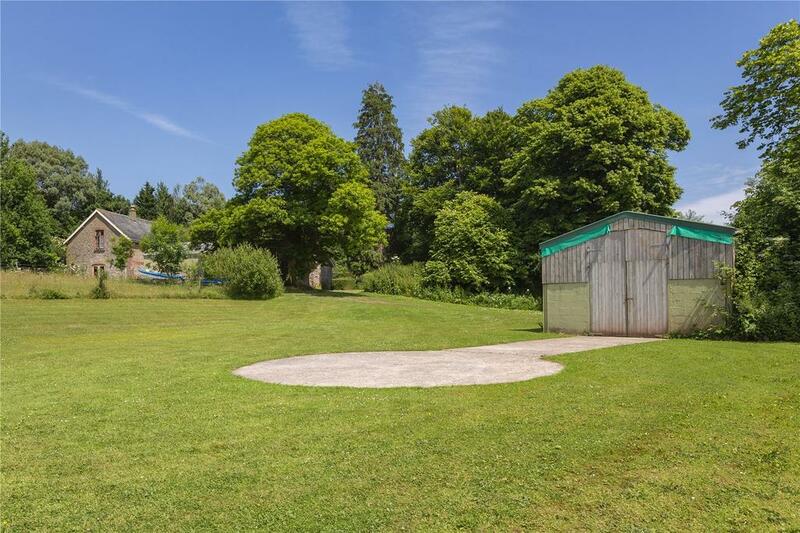 Amenities include garaging, a kitchen garden with a fine Victorian glasshouse, a 40ft-long barn and a helipad. 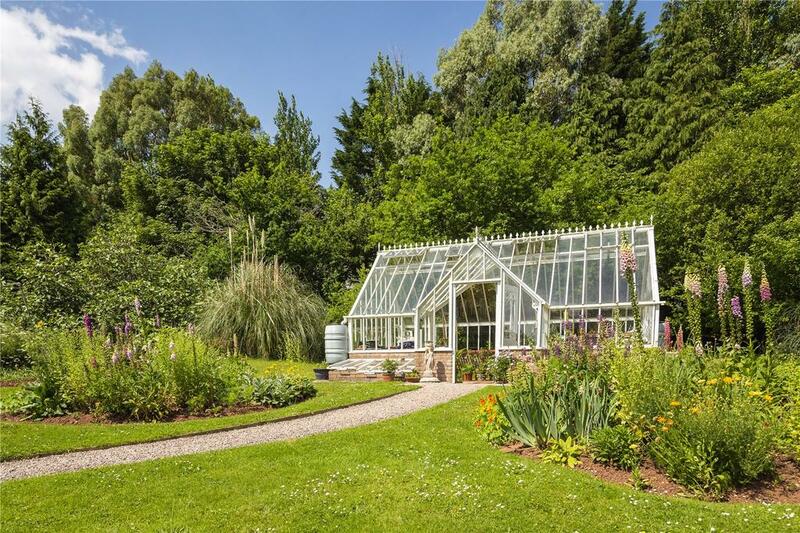 Woods House is on the market with Savills at a guide price of £4 million – see more details and pictures.